I am still making friends. I’ve met some interesting people. Carol and I met a motorcycle grandma who showed us the tattoo she got back before tattoos were cool. I met a sweet blond haired store clerk at Good Will whose job used to be to teach motorcycle safety to soldiers. I talked with the guy at the license tag counter about musicals of all things — which ones he and I and seen recently, and which ones we wanted to see. I got to know the nail technician from Vietnam as she gave me a pedicure and talked to me in broken English. So many of the manicurists stay to themselves. This one cared about me, asked me about my life, and told me about hers. She has been in Auburn 5 months and is lonely for her mother, father and grandmother back home. I have been working on relationships. Our married group had a game night last night and I invited all sorts of people. None of them came, but I had a great conversation with a friend I met when I worked for the school of pharmacy. I exchanged funny texts with my next door neighbor that I don’t know very well about our husbands who don’t really like to play cards. I got back in touch with the used car salesman I met, and he thanked me for the invitation, even though he and his wife already had plans. Ken and I went to see “Gravity” this evening. 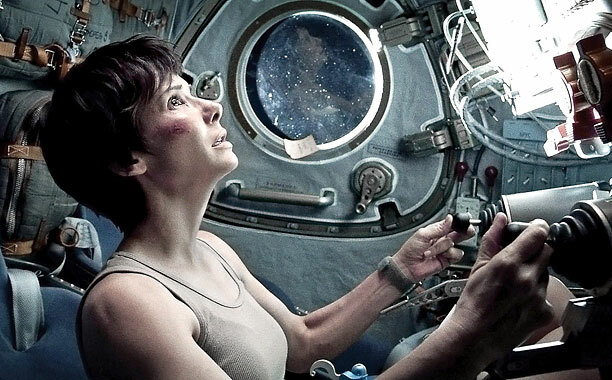 What impressed me about the movie is how Sandra Bullock’s character, Dr. Ryan Stone, kept on going. At one point she did get discouraged and even gave up, but without giving away the movie, she found the inspiration and strength to make a bold attempt to save her life. And this led to her continuing to make heroic efforts to keep on going until the end. God wants to bring people close to him to be the apple of his eye, the joy of his heart, his treasured possession. This is as true for me, and for people today, as it was in the day of Moses. This is a powerful motivation. Let me keep on going in spite of the challenges I’ve been experiencing. Let me focus on all the things God is doing — the baptism last weekend, the Bible studies I’ve been a part of, answered prayer — and stand in awe. Thank you, God. Thank you for getting us this far. Thank you for saving our lives. Thank you that we can express our gratitude and enrich our lives by making friends. May they come to know, as we do, the immeasurable wonders and riches of God.